Did you know that older people are at a greater risk of food poisoning? And, did you also know that there are some foods that are likely to cause food poisoning than other foods? When you attained the graceful age of above 65 years, you need to be more selective of what you eat. Staying alert with Health Alert Devices is highly encouraged for easy healthcare assistance when and where needed. When aged 65 years and above, the immune system is not as strong as that of someone who is younger and most times the body finds it difficult to fight off germs easily. Therefore, you become especially vulnerable to severe, if not life-threatening food poisoning. Also, as a senior, it may take longer to recover from food poisoning. 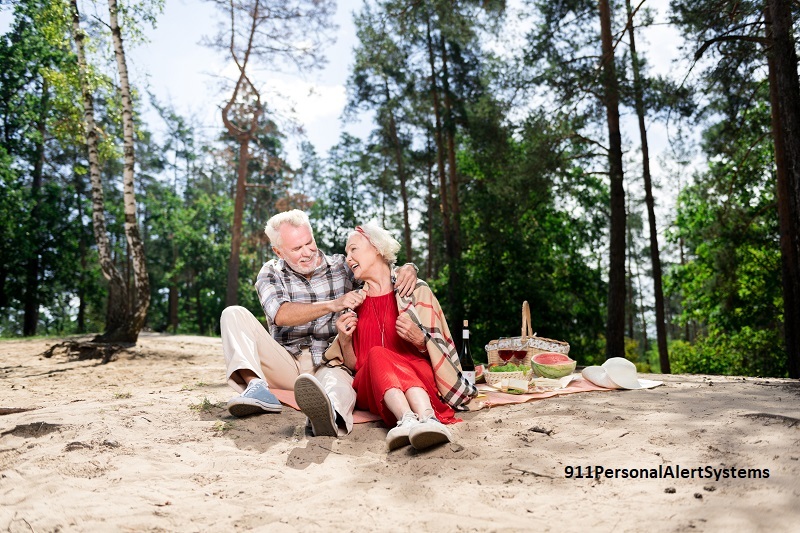 This is why seniors need to have health alert devices so that they can get help in case of an emergency like food poisoning occurs. The following are some of these foods that can cause serious discomfort. If you are on a special diet or you have a weak immune system, you need to eat eggs that are thoroughly cooked. This means that the whites and the yolks have to be solid. You should also avoid foods which have uncooked eggs as one of their ingredients such as hollandaise sauce and homemade mayonnaise. Such foods put you at risk of suffering from salmonella food poisoning. However, eggs that are produced under the British Lion Code of Practice can be eaten when partially cooked or raw. These eggs feature a red lion logo stamped on their shell. For eggs without the lion code, make sure that they are thoroughly cooked before eating them. Whether duck eggs, goose eggs or quail eggs, the whites and the yolk should be solid before you eat them. Many people believe that unpasteurized milk is healthy compared to pasteurized milk. This is due to the fact that, during the pasteurization process, a lot of the minerals found in unpasteurized milk are lost. This is why many people believe that unpasteurized milk is a healthier option. However, more bacteria are harboured by the unpasteurized milk. Seniors who fancy a glass of milk occasionally should ensure that they stick to milk that is thoroughly pasteurized. Besides, there are companies which fortify their milk with additional minerals and vitamin D after pasteurization. This is a healthy option for seniors looking for additional minerals and vitamins. The ingredients of many diet sodas have been associated with a long list of critical health conditions that range from depression to cancer. Even though diet sodas are known to have fewer calories and sugar, they are still highly unhealthy. Elderly people who enjoy carbonated drinks must avoid products which contain dyes, artificial sweeteners and preservatives. In addition to the diet soda, seniors need to reduce their intake of caffeinated drinks throughout the day. Rather than risk your health by drinking diet soda, why not enjoy a glass of a much healthier drink such as thoroughly pasteurized milk or a glass of freshly squeezed juice, with no added sugar. As a senior citizen, you may be forgiven for occasionally splurging on foods that are unhealthy like fries and burgers (basically all fast foods). However, the above foods must be avoided at all cost because they pose a danger to your health. Safety is always the watchword and having Health Alert Devices at home is one of the ways to play safety in case of serious cases of unexpected food poisoning.